Location, location, location! Los Serranos Ranch gated community is one of the most highly sought-after neighborhoods in Chino Hills. 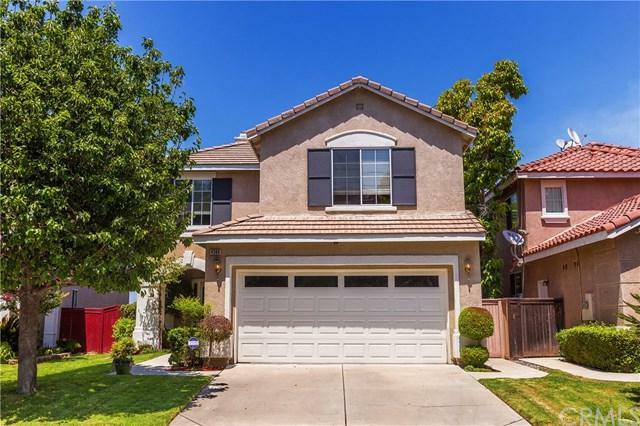 This turnkey home is walking distance to Wickman Elementary, a California Distinguished Blue Ribbon school. The home offers a panoramic view from family room and master bedroom. 3 Bedrooms plus a Loft, The master bathroom has been remolded with soaking tub, walk in master closet with custom shelves and a 2nd story balcony off the the master bedroom to enjoy the million dollar view. Home features Cathedral Ceilings,ceiling fans in each room, crown molding and upgraded baseboards, a double sided fireplace, custom artwork on the wall, along with granite counter tops. Garage has shelves for extra storage. Home is located on a single load street (no one in front or behind home). Private backyard with custom landscape which includes a fountain to go with views. Low HOA fees. Award winning schools. Sold by Karen Ko of Re/Max Titanium.